Our eldest daughter is married to a Greek Cypriot and lives on the island of Cyprus in the Mediterranean. When we visited for her wedding we were entranced with the culture and the long recorded history of this fascinating country. While we were there we were taken to visit her father-in-law’s orchard. 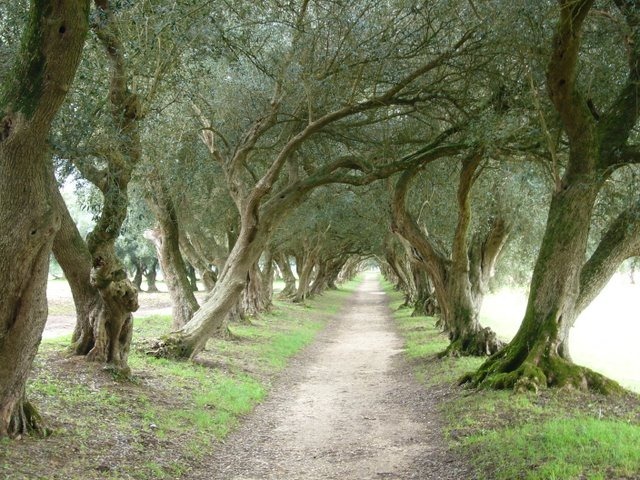 It was lush and beautiful, but what caught our eye was the olive grove. These ancient trees have a long history (just like Cyprus itself) and there have been recordings of these trees growing on Crete, an island near Cyprus, as far back as 3,500 years ago. The olive leaf is steeped in tradition as, the leaf, that the dove brought back in its beak to Noah (Genesis 8:11), and has ever since been an international sign of peace. I was surprised to learn how long these trees live and to also learn that some olive trees can pass from one generation to the next with father and son caring for the same trees. The secret lies in the loving care provided for the trees. When olive trees grow in the wild, their trunks become gnarled and the branches become entangled with one another. 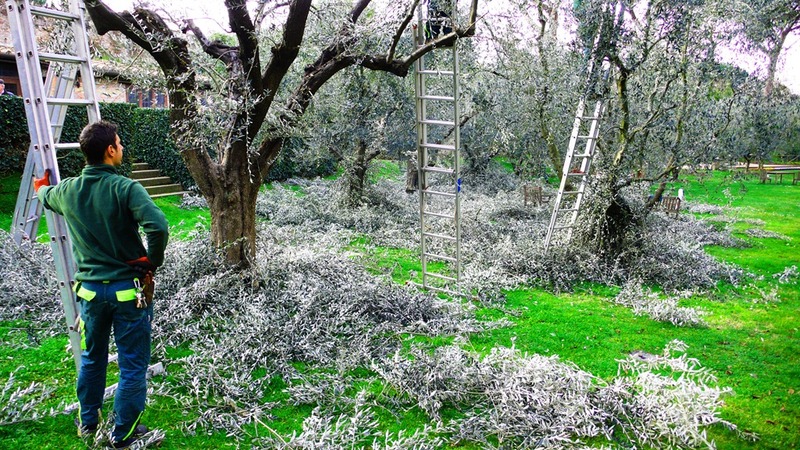 One of the ways the trees remain evergreen and fruitful in the orchard setting, is in the careful pruning. When I learnt this I was reminded of Jesus’ words to his disciples when he used the metaphor of pruning to impress upon them and us, how our own lives are like unruly bushes that sometimes need pruning. I have never quite liked that idea of being pruned, but armed with my new knowledge about the olive trees I decided to think more deeply about those words and what they could mean in our lives. One of the things I had gleaned from my lessons about pruning the olive trees was that one of the problems was one that was hardly noticeable at first. Little suckers would begin to start down near the base of the tree and slowly increase in number, draining the tree of sustenance, not bearing fruit in themselves but weakening the rest of the tree so fruit became scarce. A light went on for me. What have I let creep into my life that is drawing me away from prayer/ worship/ Bible study so that I am not as fruitful? I would be happy to have the Lord remove them. The other problem for the olive tree is the dead wood that forms and if left there the new branches become entangled in it and the tree ceases to thrive as it once did. What dead wood am I hanging on to that should have been banished long ago? / Bitterness/ grudges/ past failures/ bad memories. I would be happy to have the Lord remove them. Those words of Jesus took on a whole new meaning for me. A very dear friend wrote a beautiful poem about this very subject and she has summed it up completely. They block my vision of the vine and cause me endless strife. Are not the branches chosen to abide. Receive the blessings from the Father up above. They seem so difficult to grow I do confess. So that the pain I will be sure to bear. And help me focus on my Master’s face. How inspiring your words are Jo! How they open ones heart into seeing the gnarls that stunt ones growth. How easy it is to remove them when clarified so simply. I can begin spiritually gardening from within ,leave outside ’til later. Thanks for the thoughtful and thought provoking post. I have a peach tree that follows the pattern you describe – the suckers can be plentiful and the tangles grow thick. But, pruning them, often heavily, brings more and better fruit. Let the pruning begin. Thanks Jo.